If anyone has any pictures or suggestions, please contact her directly. Another item to think about bringing to the Regional Meeting is your lawn chairs. 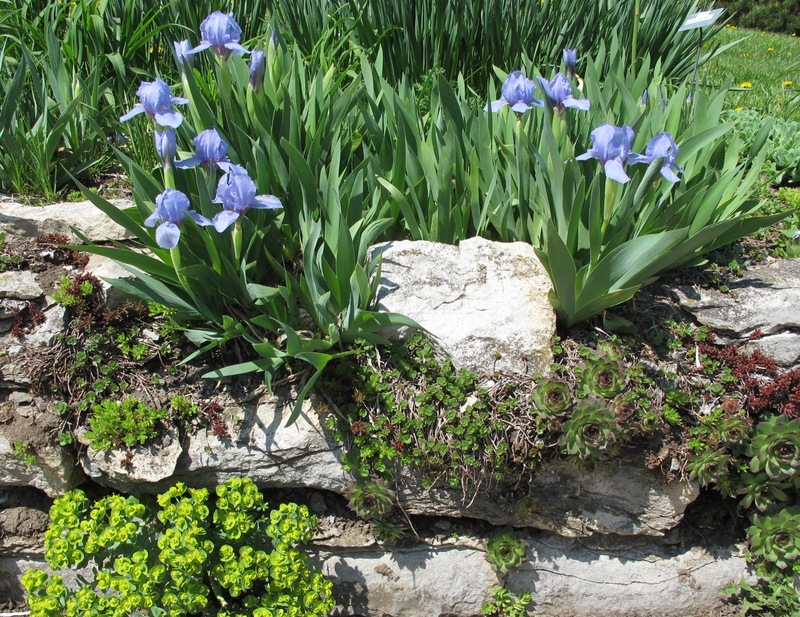 The Miniature Dwarf and Standard Dwarf Irises are now blooming in Lincoln, Nebraska and are beautiful this year! 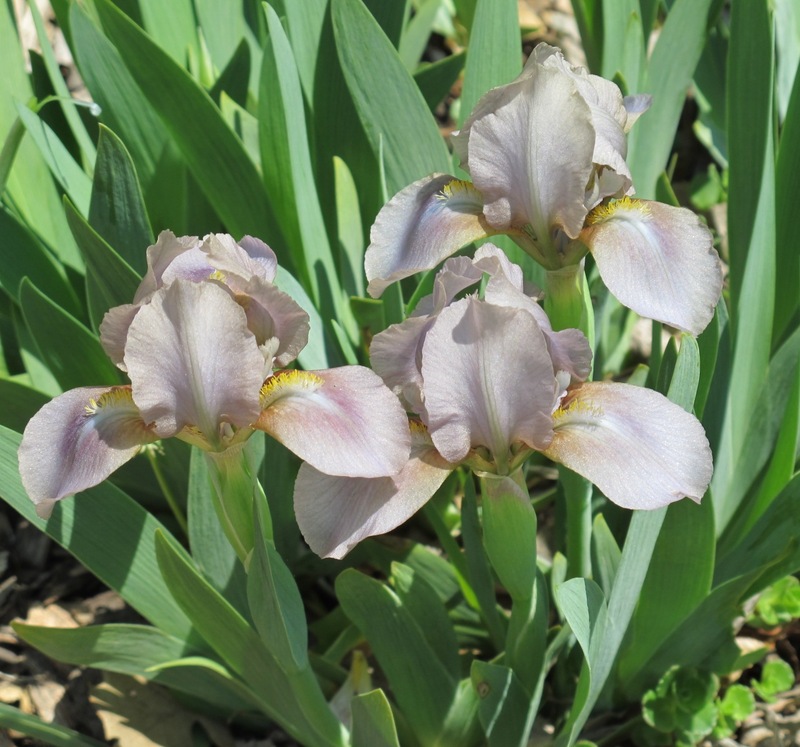 Alas, with these warm days, most will be done by show time, but the later medians, tall beardeds and Siberian irises should be ready to go by then. information contact us at lincolnirissociety@yahoo.com. You can download the schedule and details in this PDF LIS_ShowSched-2013. 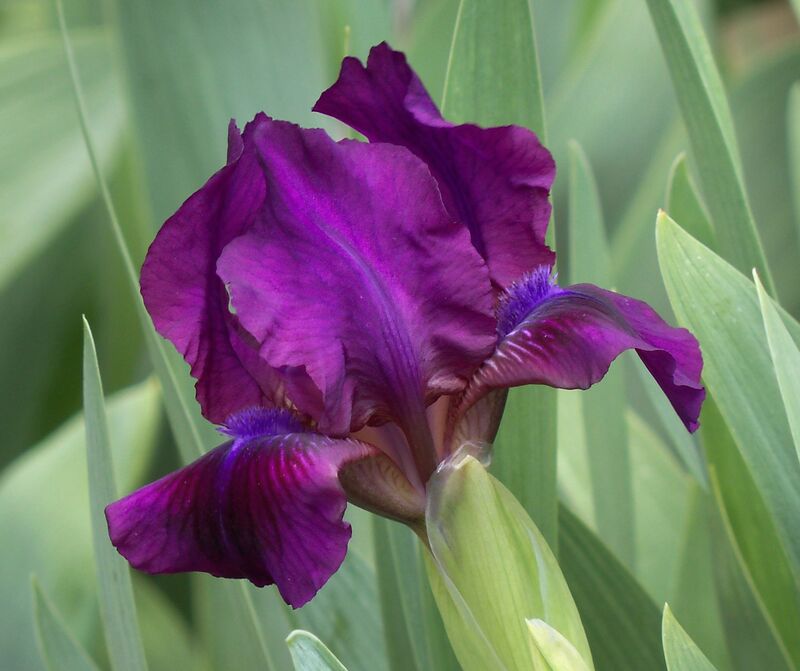 Thank you to Linda Rader for the show details and to Gary White for sharing these pictures of iris now blooming in their garden. The top photo is the MDB Grey Pearls and the lower photo is the SDB Blue Denim which was the 1966 Cook-Douglas Medal winner. There is the possibility of thunderstorms for Friday and Saturday in Sioux City. Bring your overshoes because it could be muddy! Thank you to Bob Flick for this picture of Blue Rhythm. 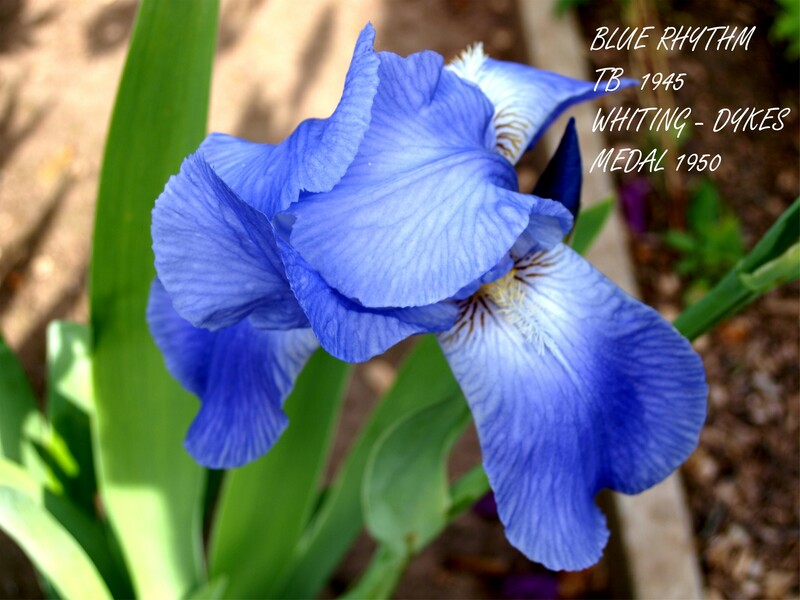 This was the 1950 Dykes Medal winner by Agnes Whiting of Mapleton, Iowa. The same irises as last year were first to bloom this year. Except last year it was April 2nd and this year it was May 11th. These median irises (which I need to identify) are on the South side of the house here in central Iowa. Just a week ago they were in snow! 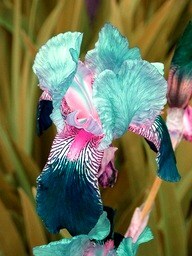 Hope you all have lots of lovely iris photos next week at the meeting!